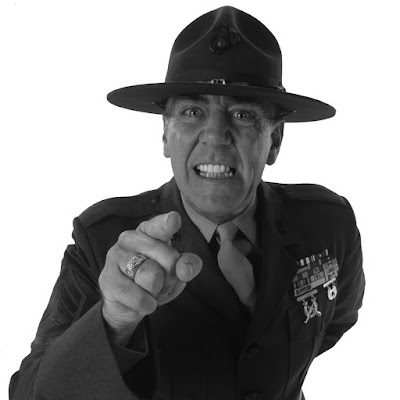 Ermey became a character actor after serving as a drill instructor in the army, fact that was often made use of in the roles he was cast to play. On Saturday mornings, he starred as General Thorton in Big Guy and Rusty the Boy Robot; played Sergeant Goonther in an episode of The Angry Beavers; reprised his role of Sarge for Buzz Lightyear of Star Command: The Adventure Begins; Colonel O’Malley in Recess: School’s Out; Colonel Thrift in an episode of Fillmore! ; and the warden in an episode of Spongebob SquarePants.